Mobility is rapidly changing the core dynamics of customer/company relationships. 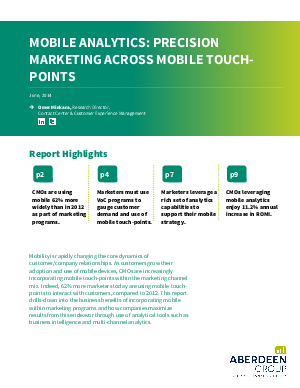 As customers grow their adoption and use of mobile devices, CMOs are increasingly incorporating mobile touch-points within the marketing channel mix. Download to find out more about new trends and business value due to the rise of Mobile.